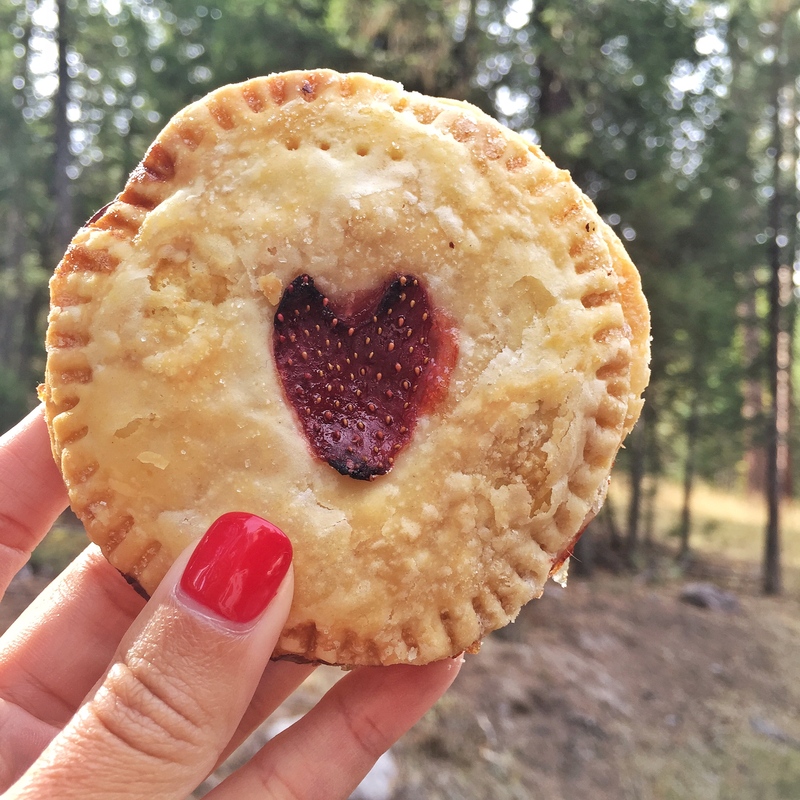 I was lucky enough to have had the opportunity recently visit the Paws Up Resort in Montana for their Upper Crust Pie Camp with my pal travel and food writer Krista Simmons. 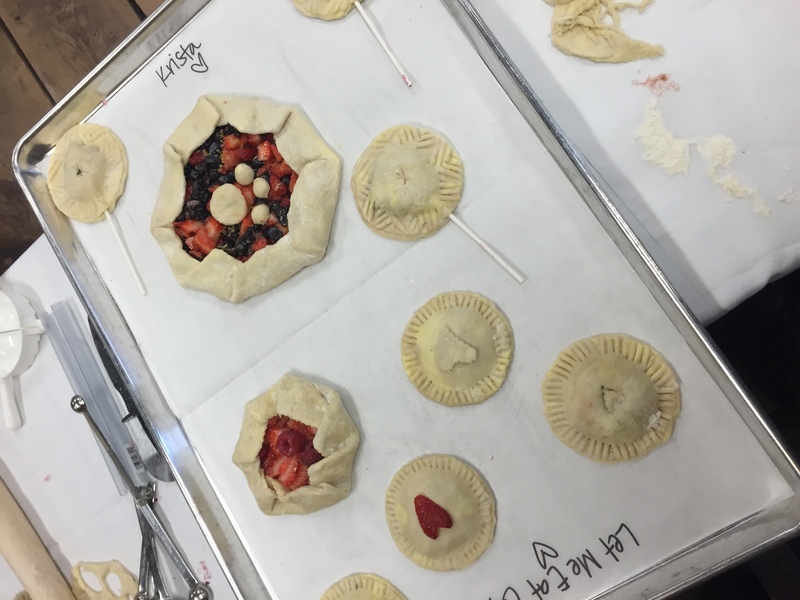 Yes, Pie Camp is a thing and I highly recommend this memorable experience for food, friends and fun. We learned some very valuable skills from pie expert Kate McDermott. You can see our all of our adventures in this lovely video that Krista put together. Keep reading to discover the perfect pie tips we learnd! Use ½ lard and ½ butter. Kate uses leaf lard as her lard and this gives the dough that nice flakiness. The fat steams off and it bakes and forms the layers for flaky crust. The butter is there for the flavor. Kitchen tools are great for cutting the lard and butter into the flour, but Kate suggests having fun and ditching the equipment and getting into the dough with your hands. Keep your hands cold and “smoosh” together the butter, lard and flour until your mix forms the shape of peas, almonds and cracker meal. It should look incompletely mixed and not uniform in shape. DO NOT OVERMIX YOUR DOUGH. Keep everything chilled! Especially yourself Kate advises jokingly. If you are cool you will execute the production of your dough better and when your ingredients are cold they work better together. Kate keeps her flour in the freezer and her butter and lard nice and cold. She even uses strained ice water in the mix. Measure your fruit in your pie tin. Eyeball the filling and make sure it is a ½ inch below the top of the pie pan. This will keep your filling from bubbling over into the oven.. The most important tip for making the BEST pie dough is to always bake with love. This is certainly something that we got from Kate who is so caring, convivial and generous with her knowledge and skills. To add to this point Krista and I found that with that love is the love of friendship, baking together made the entire experience so much more special. I hope you are inspired to share some love, some pie and some friendship. Turn on those ovens and let’s get baking!